Home World Affairs 20 Aftershocks Recorded After 6.8 Magnitude Quake Hits Indonesia. 20 Aftershocks Recorded After 6.8 Magnitude Quake Hits Indonesia. 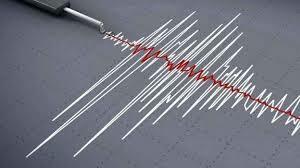 At least 20 aftershocks have been recorded after a 6.8 magnitude earthquake rattled Indonesia’s Central Sulawesi province on Friday afternoon.”According to BMKG monitoring, until 21:00 Western Indonesia Time (WIB), some 20 aftershocks have occurred in various magnitudes,” Xinhua quoted the Chairperson of Indonesia”s Meteorology, Climatology and Geophysics Agency (BMKG) as saying. A tsunami alert had been sounded following the 6.8 magnitude earthquake in the region, which is still reeling in the aftermath from September’s dual earthquakes and tsunami which claimed a staggering 4,340 lives.Rehabilitation efforts to relocate the displaced are still underway from the 7.5 earthquake which had struck the cities of Palu and Donggala in September. Indonesia is highly susceptible to earthquakes and tsunamis as it lies in the highly seismic Ring of Fire, an area in the basin of the Pacific Ocean.In December 2004, a devastating 9.1 magnitude quake off the Sumatra island triggered strong tsunami waves in the Indian Ocean, killing over two lakh people in dozens of countries, including India and Sri Lanka. Previous articleTrump planning to release detainees in sanctuary cities. Next articleMike Pompeo Says US Won’t Quit Fight In Venezuela, Defends Sanctions.